Join Us In Filling Up Our State Map! We want to run with people from every single state. 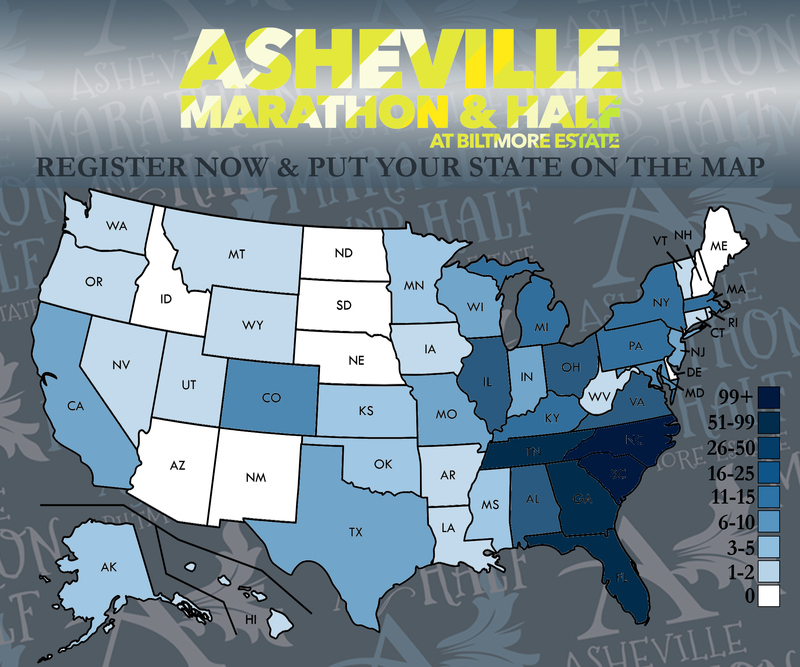 Help us reach our goal by getting friends and family from every state to register and experience the one-of-a-kind Asheville Marathon and Half! The first participant to register from a state that currently has zero participants will be reimbursed for their entry fee! You read that right, a FREE entry for being the first to register from your state! Offer valid 12/04/17-03/16/18. We only have NINE states left to fill! If you see a state in WHITE, there are 0 runners registered for that state. Let’s make this a country-wide race in 2018! We will continue to update the map on our 50 State Challenge Webpage HERE!